KUMFA advocates for the rights of unwed mothers and their children in Korea. to keep their babies so that mother and child can thrive in Korean society. 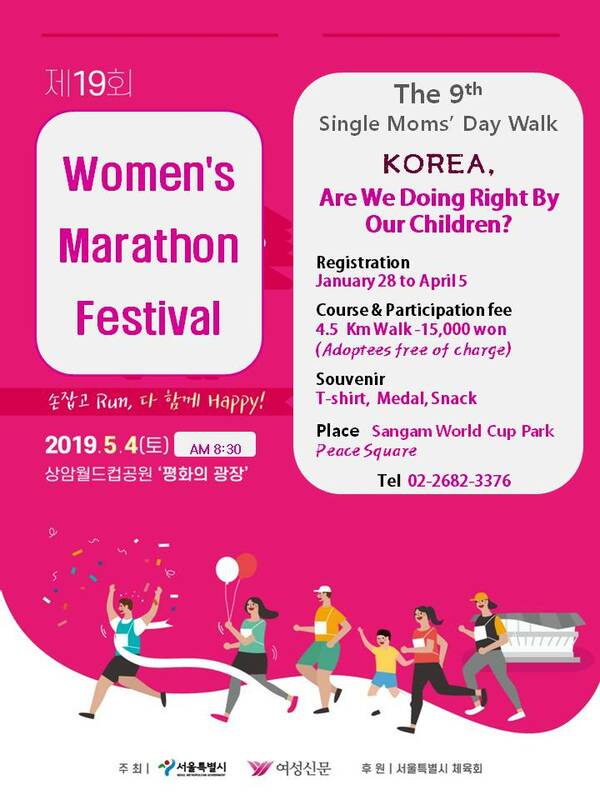 KUMFA (Korean Unwed Mothers’ Families Association, formerly Miss Mama Mia) is an organization that was starting by and for unwed mothers themselves. It started as a Naver Cafe and then expanded to an offline monthly meeting where moms can participate in educational lectures, exchange information, etc. In addition, KUMFA holds camps for each major holiday in Korea, in order to provide family environments for moms and children during holiday seasons. KUMFA also provides educational, advocacy, and counseling support programs for unwed mothers. KUMFA has also worked with TRACK, ASK, and KoRoot (adoptee advocacy groups) to help pass the revisions to the Special Adoption Law in 2011, which will help bring Korea up to standards of the Hague Convention on the Rights of the Child. The link between international adoption and unwed mothers in Korea is clear – currently, 90% of the over 1,000 babies that are sent from Korea each year now are those of unwed mothers – a tragic indication of the difficulties that unwed mothers in Korea face. Finally, in the beginning of 2011, KUMFA opened HEATER, a shelter for unwed mothers to raise their children. Each year it houses and feeds up to 24 mothers and their children. Two mothers and their children stay at HEATER for two months at a time. It is a unique place in that, unlike other facilities in Korea, HEATER accepts mothers who are older and/or have children. Some of the children need medical attention. According to the statistics put out by the Ministry of Health and Welfare in 2007, out of 100 pregnancies of unwed women in Korea, 96 will have an abortion and only 4 will give birth. Of those four, three will eventually be forced to give up their child due to economic difficulties and social discrimination which makes it nearly impossible for unwed mothers to support their children in Korean society. It’s not far-fetched to assume that the 4 women who gave birth to their children, choosing to face social stigma and family rejection, likely wanted to raise their own child. About 120,000 of all officially recorded international adoptees have been children of unwed mothers, and since the 1990s, 90% of children adopted both internationally and domestically each year are the children of unwed mothers. Additionally, it is presumed that the thousands of infants who are “secretly” adopted domestically all come from unwed mothers. Such clear institutionalized discrimination against unwed mothers is symbolic of the struggles that unwed mothers must face in order to raise their children in Korea. Register for 2019 Single Moms’ Day Walk!